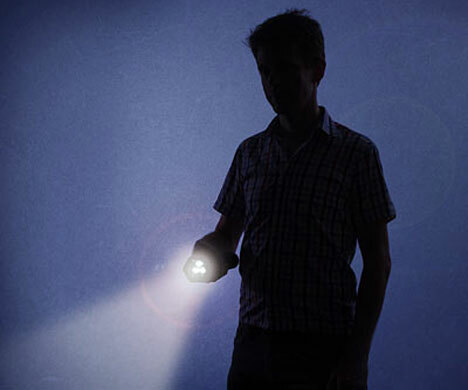 We caught a glimpse of the remarkable 5.11 Tactical Light For Life Ultracapacitor Flashlight with its incredible 90-second full recharge time back in November – but now, thanks to our friends over at ThinkGeek, these battery-less wonders are available for sale – helping improve our night-prowling uptime. Featuring an ultracapacitor energy management system called FlashPoint Power Technology, the 5.11 Tactical Flashlight is capable of delivering up to 23.5 hours of runtime per day – requiring only half an hour total in a 24 hour period for charging. Rated for 50,000 charge / discharge cycles, the Light For Life will get one charge a day for as long as 135 years and suffers virtually no degradation or memory. Equipped with three modes including a strobe light, the Tactical Flashlight can achieve as much as 270 peak lumens in bright mode or 90 lumens in standard mode. 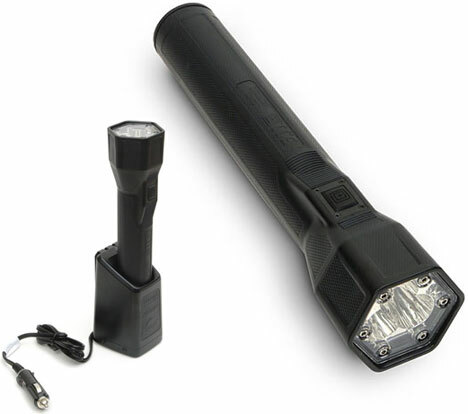 Ideal for security and safety professionals to save carrying multiple flashlights just to get through the night, the 5.11 Ultracapacitor Flashlight includes a 12V DC car charger, a mounting plate and runs for 60 continuous minutes on standard mode between its 90-second energy drink breaks. The 5.11 Tactical Light For Life Flashlight is made from a firearm-grade, high-strength polymer that is impact, abrasion, crack, bend and water resistant and is available now from ThinkGeek for $169.99. Kiss those chunky cells goodbye. « Pentax KX DSLR: Colorful 12MP Shooter Gets HD Video, $650 Price Tag.